Some 25 years ago, Daniel Patrick Moynihan, a Harvard professor who in the course of his career served as US ambassador to the UN and a US senator from New York, coined the phrase “Defining Deviancy Down.” The phrase was meant to describe a social trend in which behavioral standards declined over time to the point that what was once intolerable became broadly acceptable. All this has taken on more than a little urgency, because it is now more than four months since the Singapore summit and there is talk that President Donald Trump and North Korea’s Kim Jong Un will meet again soon. As is always the case with diplomacy, the question arises as to how to define success. Peace is one possible answer. And, to be sure, peace is well worth preserving on the Korean Peninsula, given the enormous human and economic costs that any war would entail. But if avoiding war takes precedence over all else, there is the danger that other important interests could well be compromised. There is the danger, too, of arrangements that would lessen tensions over the short term but threaten peace over the long term by requiring real compromises and constraints in exchange for promises and possibilities. Already there is evidence that neither South Korea nor the US are anxious to demand from North Korea a full accounting of all its nuclear materials and weapons, without which real denuclearization cannot be carried out and verified. 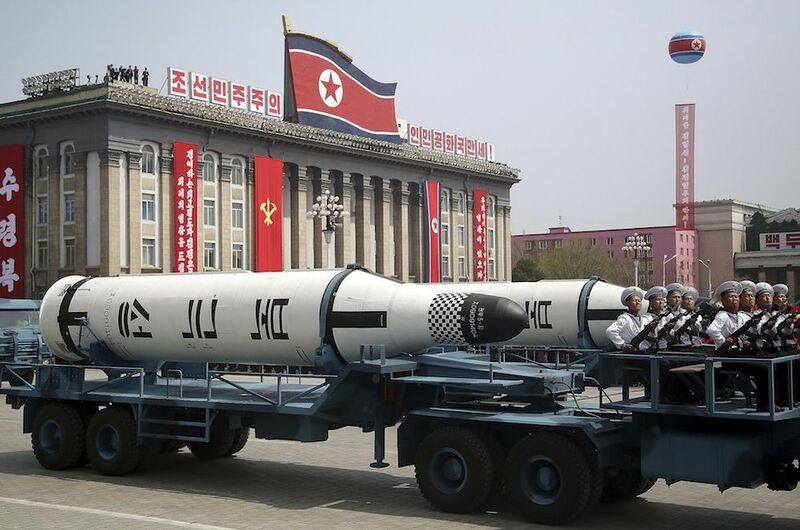 The concern appears to be that North Korea would balk at such a request, causing a crisis. Instead, Seoul has suggested that it ought to be enough for the time being if North Korea simply destroys one or another nuclear facility. The US, for its part, is counseling patience and advising skeptics not to demand too much of Pyongyang too soon. In both cases, what we are seeing is a reluctance to give North Korea a test that it might fail. At the same time, the “maximum pressure” campaign has effectively ended, with calls to relax sanctions and a reluctance to fully enforce those already on the books. The US and South Korea have also canceled military exercises and relaxed their force posture, respectively, easing the pressure on the Kim regime. This is what defining diplomacy down is all about. This reluctance to press North Korea, however, points to the danger that Kim’s regime will be allowed not just to keep but to increase its nuclear arsenal. Indeed, North Korea could close or destroy facilities yet never denuclearize if it continues to build capacity at the same time. If avoiding war takes precedence over all else, there is the danger that other important interests could well be compromised. Pyongyang will perhaps understandably resist a negotiation in which it is asked to do everything before it receives anything. It will demand compensation, most likely in the form of relaxing economic sanctions, if it were to eliminate any nuclear capacity. China and Russia would surely support such a request, but rewarding North Korea generously for partial measures reduces its incentive to take additional steps, much less complete the process of denuclearization. The Kim regime is also certain to want to avoid being forced to choose between giving up its nuclear and missile programs, which it sees as essential for its security, and improving its economy, which is essential for social and political stability. It wants to have its cake and eat it: Both continued security and greater prosperity. North Korea has been pressing for a declaration of the end of war, an aspirational statement that would signal a common desire to replace the armistice that has existed since the Korean War ended 65 years ago with a formal peace treaty. Again, the question arises as to what Pyongyang would require in return. Its suspension of nuclear and missile testing has already brought about an end to large US-South Korea military exercises. At some point, North Korea is likely to ask for a reduction in US troop levels in South Korea. This risk is related to the focus on denuclearization. Achieving it is an understandable priority for the US, but South Korea must worry as much, if not more, about North Korea’s non-nuclear or conventional military forces that threaten Seoul, which is home to roughly 20 percent of South Koreans. The danger is that differing priorities drive a wedge between the two allies, benefiting Kim. Despite Trump’s tweets and statements, denuclearization is neither a fact nor a certainty. On the contrary, it remains a distant and unlikely goal. The challenge for the US and South Korea is to bring the goal closer without growing apart. The best way to achieve this is through close consultation, a commitment to avoid surprising each other or entering into separate deals, and the forging of a comprehensive agreement on what diplomacy must achieve and what it would require in return. Existing military exercises and economic sanctions should be sustained until there are significant changes that reduce the North Korean threat. Think of it as defining diplomacy up.